When will be House of Bond next episode air date? Is House of Bond renewed or cancelled? Where to countdown House of Bond air dates? Is House of Bond worth watching? 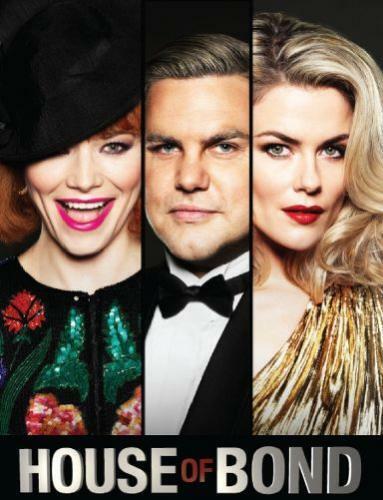 House of Bond tells the rags-to-riches-to-rags tale of controversial business tycoon Alan Bond from the 1960s to the 1990s. It is the outrageous story of how a cheeky, knockabout Ten Pound Pom fought his way from the back alleys of Fremantle to become the richest man in Australia and one of our greatest sporting heroes. "Bondy" was a man with an insatiable appetite for the excesses of life: women, fame, money, crime and everything in between. But Bond's ego, greed and ambition saw him overreach beyond all measure until his empire collapsed, leaving him as the country's greatest villain with the biggest ever bankruptcy. House of Bond is the extraordinary story of the man who defined the 1980s by dreaming big and rewriting the rulebook. Was he a hero? A villain? Or a little bit of both? House of Bond next episode air date provides TVMaze for you. EpisoDate.com is your TV show guide to Countdown House of Bond Episode Air Dates and to stay in touch with House of Bond next episode Air Date and your others favorite TV Shows. Add the shows you like to a "Watchlist" and let the site take it from there.